Europe has some of the worst-funded pension schemes in the world and among them are several airlines and aerospace companies. In a recent study that looked at over 9,000 global companies, Deutsche Lufthansa ranked in the top 20 of companies with the biggest deficits when compared to sales, according to MSCI. Increased costs, low interest rates and an ageing population have seen many defined benefit pension schemes fall further into deficit in recent years. Deutsche Lufthansa originally announced it would be closing it’s defined benefit pension scheme back in 2013 and the deficit reached a peak in May, 2015 of €10.2bn. This was close to double the deficit of the year before in March 2014. A little over a year ago, following numerous strikes and the company’s longest running collective bargaining dispute, Deutsche Lufthansa reached a comprehensive labour contract agreement with Vereinigung Cockpit (the Pilot’s Union). 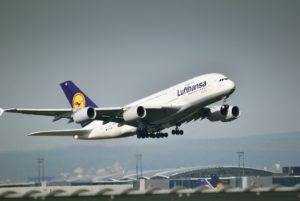 The deal includes converting the company’s pension from a defined benefit to a defined contribution pension system and will run until 2022, according to the human resources department at Lufthansa. Deutsche Lufthansa is by means unique when it comes to under-funded pension schemes and other companies in the sector face similar problems. These include Delta Airlines, Boeing, BAE Systems, American Airlines and British Airways with the latter already closing its defined benefit pension scheme. More generally, many commentators and analysts refer to the real potential of a pending retirement “time bomb” if companies are unable to honour their commitments to their employees and there are numerous examples of companies collapsing due to large pension deficits. Not only is this a real problem for future retirees, but also for investors especially when the pension deficit exceeds the market capitalisation of the company. From a global perspective, the World Economic Forum conducted a survey in May of last year looking at the world’s six largest pension savings systems (USA, UK, Japan, The Netherlands, Canada & Australia) and assessed corporate, public and private pensions. They concluded that by 2050, these pension savings systems are expected to reach a $224 trillion shortfall. Bearing in mind the current and worsening situation, it is highly likely that many more companies will close or look to renegotiate their pension arrangements in the future. 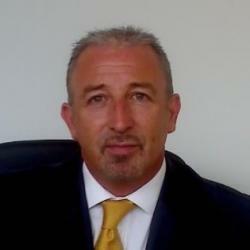 For a free pension evaluation and consultation, please contact Harrison Brook. We offer transparent, honest and impartial advice – safeguarding your pension.